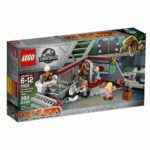 LEGO has a habit of releasing big sets for their key licenses. Marvel has seen its fair share with the Helicarrier and the Hulkbuster, and DC has also seen its own assortment with the Batcave and The Tumbler. 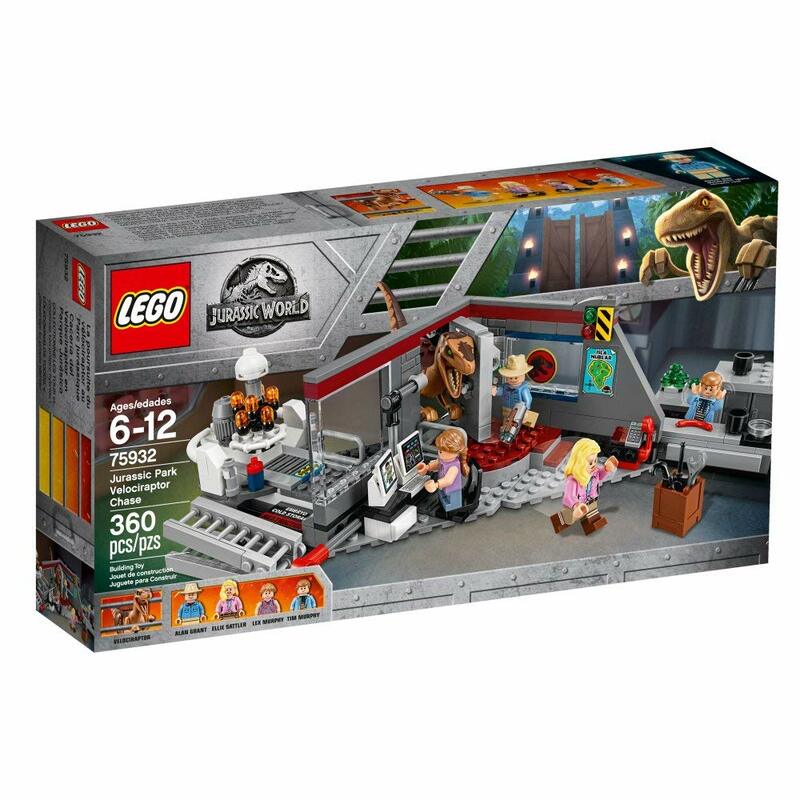 But, most exciting of all is the prospect that, for Jurassic fans across the world, a large-scale LEGO Jurassic set may not be a dream anymore. 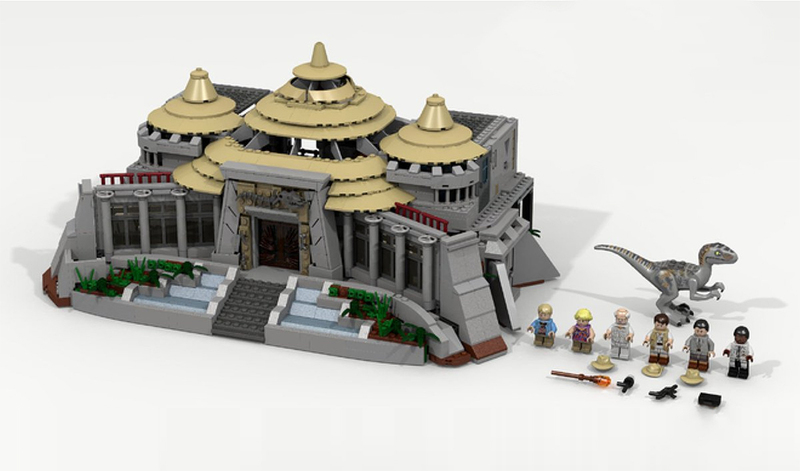 Listed on Brickset, a reliable LEGO data basing site, set 75936-1 promises to be Jurassic’s first delve into the D2C world, with a large-scale set rumoured to be over $200 said to be debuting this June – potentially alongside the upcoming LEGO Jurassic World series. 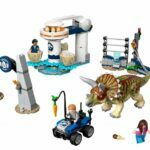 Now, to be perfectly clear – we did take the opportunity to ask LEGO this when we were at New York Toy Fair, and they were clear that they had no plans to talk about a D2C for Jurassic at that time. The rumours, however, have persisted – and with four main line Jurassic World sets debuting in June of 2019, it looks likely that we may have more to come. So – we then, of course, must ask the question of well what could that set be? Now, there are two popular theories out there. 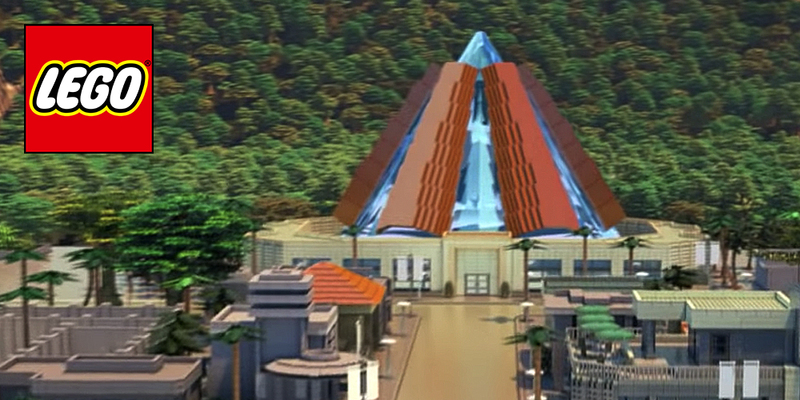 The first is that we could potentially see a Jurassic Park set – themed around the Visitors Centre from the first film (Credit to LDiEgo on LEGO IDEAS for the great design pictured above). Now, whilst we have had a taste of the Visitors Centre already in the form of 2018’s Jurassic Park Velociraptor Chase, there is nothing stopping LEGO from making a more authentic model of the entire building. 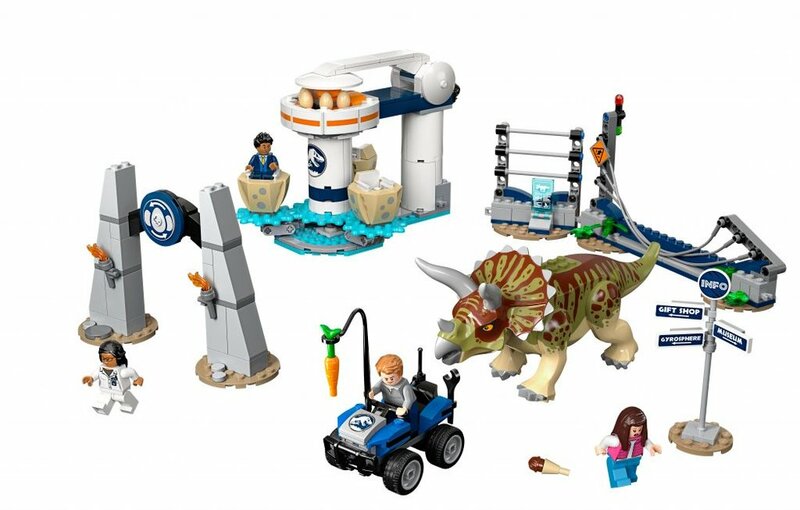 Not only would this provide a perfect opportunity to pack-in fan favourite characters like John Hammond or Robert Muldoon, but it would also provide the opportunity for plentiful play features akin to those which have been featured on various LEGO IDEAS projects. 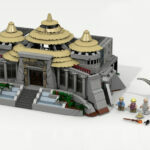 Now, it is important to note that speculation has also included ideas such as the original LEGO Jurassic Park project which debuted on LEGO IDEAS, purely because fans and collectors alike believe that vehicles like the Ford Explorer would also be popular when combined with something iconic like the Jurassic Park gates. Whilst we are yet to hear, for certain, whether the set will be set in the past or current generation of the franchise, there is certainly potential for a killer Jurassic Park set which would pay homage to the legacy of this franchise nicely. 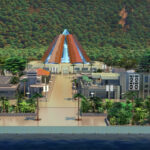 The other option is, of course, a Jurassic World themed set – and the consensus seems to be that this could indeed be an incredible brick-built Innovation Centre. Now, there are two main pieces of evidence which support this concept. Firstly – the fact that a Brick Built Innovation Centre appears in the LEGO short ‘The Indominus Escape’ from 2016. Now, whilst the build which is featured in the film does not use actual physical building techniques which would work within a real-life set, it is still interesting to note the fact that it was included here. In the past, LEGO have often used pre-rendered 3D assets for things which are not built, so the inclusion of entirely brick-built structures is interesting in this short and does provide some insight into what could potentially be. The second, and arguably more prevalent factor, is that the sets inspired by the upcoming LEGO short seem to be themed entirely around the theme park – and activities going on in the park itself. Now, whilst we already know that this short series will be set before the events of Jurassic World, it is interesting to note this focus on park-centric storytelling. If we do, indeed, spend a lot of time with the familiar sights of Jurassic World – then is there really a more iconic centre piece than the Innovation Centre? We think not. That wraps this short piece up, but we’re interested to hear your thoughts. Do you think we’re bang on the money with our predictions? Or do you think LEGO could throw out a wild card and do something different? And whilst we’re on that topic – what would your dream be if we were to get a third wave of Jurassic sets? Copyright ©2018 Collect Jurassic. All company names, brand names, trademarks and logos are the property of their respective owners.